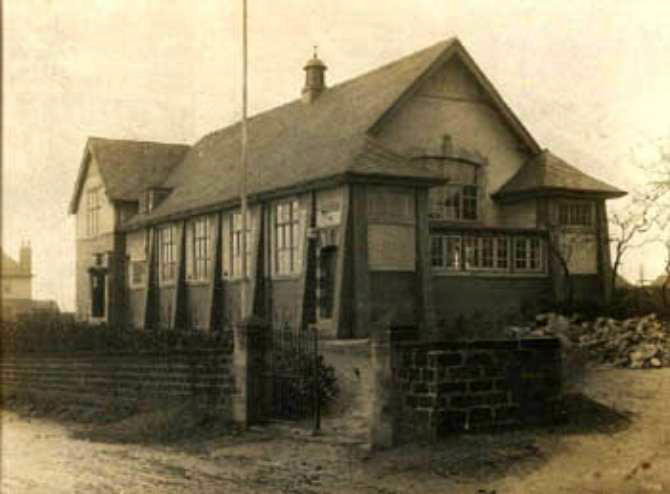 My name is Brian Bower and with my family, lived at The Laburnums Barnsley Road until 1959. I then left and eventually came into the Doncaster area where I worked at the Doncaster Royal Infirmary as an electrician until retirement in 2000. 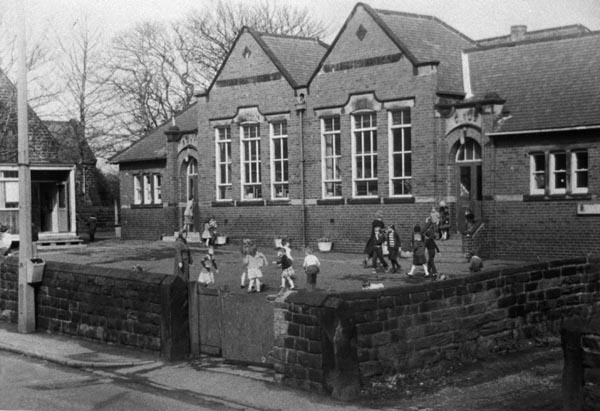 My dad was a deputy at Carlton Main colliery; mum was a housewife and we all did some work on the smallholding. (The Laburnums). Bernard was my brother and worked at the same place as my dad until he emigrated to Australia in 1951 (sadly he is no longer with us) Blanch is my sister, she trained as a nurse at the Doncaster Royal Infirmary. She worked there for quite few years, then became a district nurse and worked as this until she retired. She now lives in the Doncaster area. Unfortunately I have not been able to locate a photo of myself yet but will keep trying. I have another brother called Frank, he is in Australia and as been there since 1953 I am trying to locate a photo of him too. 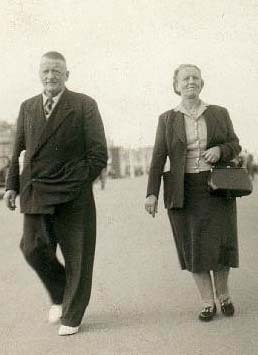 Brian's brother Arthur Bower and his wife Hilda 1947 . Arthur used to work at Carlton Main Colliery until he became ill. 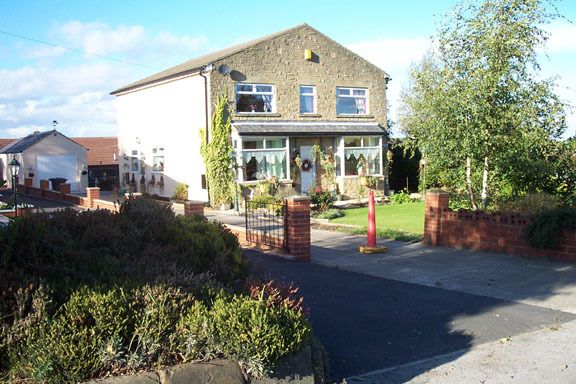 He lived in Cudworth for the last part of his life. 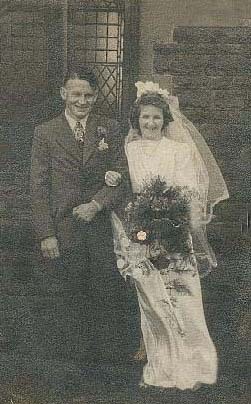 John James Bower and Barbara Hannah (nee Ames) our parents who were Married at Chesterfield Parish Church (crooked Spire) date unknown .Dad was 23 and Mum was 18. 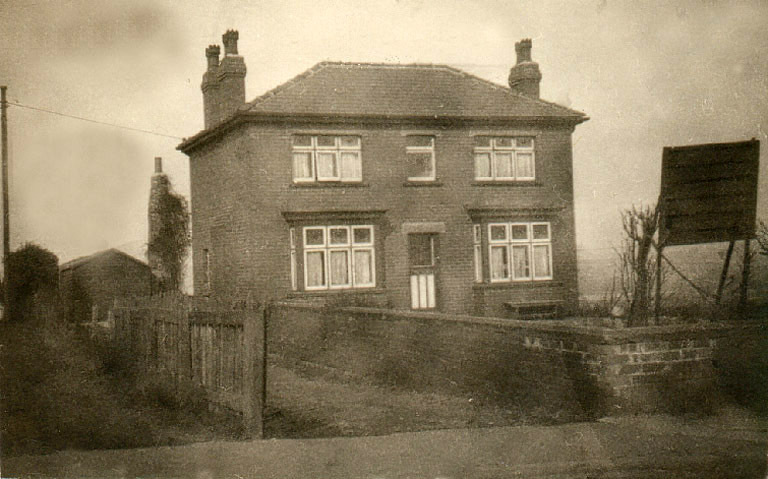 They lived in the Chesterfield area for a while then moved to Barnsley and from there to Brierley, They arrived in Brierley 1940.They left Brierley in 1959 to live in Hemsworth. Dad died in 1964 and Mum in 1977. 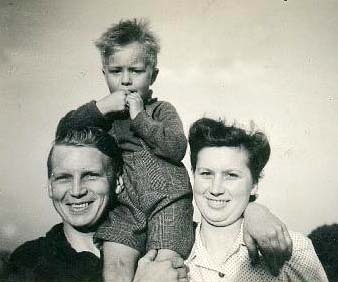 Bernard was my brother and worked at the same place as my dad until he emigrated to Australia in 1951 (sadly he is no longer with us) Blanch is my sister, she trained as a nurse at the Doncaster Royal Infirmary. She worked there for quite few years, then became a district nurse and worked as this until she retired. She lives in the Doncaster area. The young chap on their shoulders is our brother Frank who now lives in Australia (Albany). 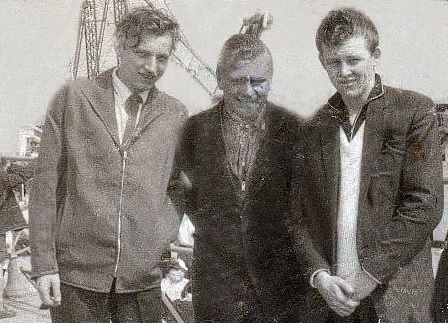 Clive Dye, Brian Bower and Tony Spaxman on a day trip from Brierley to Bridlington. Tony's dad was one of the organisers. Sadly Tony has passed away. Do you know where Clive is now?